“Everything changes once you get married.” You must have heard this 100 times in your life and yet you will never understand the true meaning of it till you actually get married. Things change drastically. And for you to have a smooth wedding life (If something like that even exists), you need to be very clear about who is going to take what responsibilities! There are certain territories which belong just with the wife - say if you need to deal with the maids - we must totally trust the woman there. She might crib about the food having less salt or the dishes that weren’t properly washed or the stains from the clothes that are still too strong, but she knows what she needs to do and she does it well. Or, if we talk about home decor - men simply don’t care. You change a pair of curtains, they might not even notice the difference for about 2 or 3 weeks or maybe more. But that’s how things work. Similarly, there are certain departments that solely belong to the husband. If the car crashes down, he would take it to the mechanic or if you have to stand in the queue to pay the bill, he would be the one doing it. These things are unsaid and everything is fine because they will handle it in their own ways. The problem really begins when they need to make a mutual decision. For example, planning a vacation. From deciding whether to go to the hills or the beach to the length of the trip to selecting which hotel to book to checking various deals, how to commute and everything involved, it is something that takes time for them to come on mutual terms. Similarly, if they were planning a movie night - right from which movie to watch to which cuisine should they cook/order, it may lead to various arguments. But that’s the fun of marriage. Coming to a conclusion amidst everything else and maintaining what you have by not being too stringent about your wants or desires. 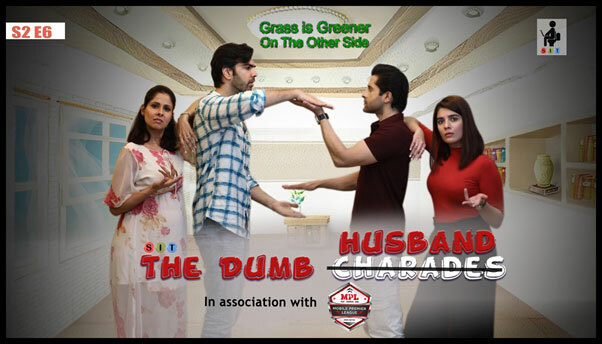 In our next episode of SIT's Grass Is Greener On The Other Side, you are going to see our favourite couples go through something similar. 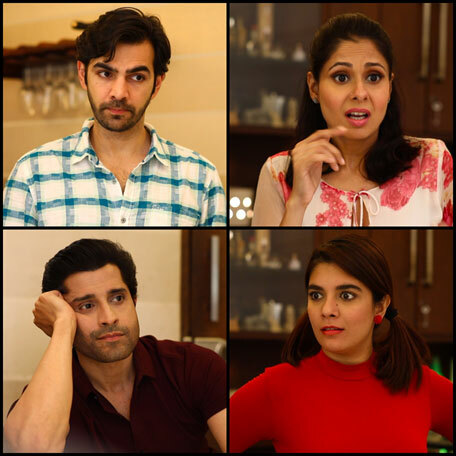 It is always so much fun to watch Rishi (Karan V Grover), Rohini (Chhavi Mittal) together with Abhimanyu (Pracheen Chauhan), Meera (Pooja Gor). The stakes are going to be high and we are too excited to see who will be responsible for what! Stay tuned to watch our next episode to find out who won the Dumb-Charades competition!